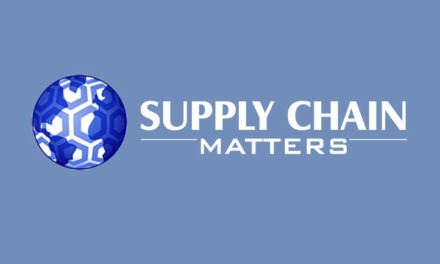 As industry supply chain teams continue efforts in achieving 2017 year-end strategic, tactical, and operational line-of-business business and supply chain focused performance objectives, this is the opportunity for Supply Chain Matters to look back and review our prior 2017 Predictions for Industry and Global Supply Chains that we published at the beginning of this year. Our research arm, The Ferrari Consulting and Research Group has published annual predictions since our founding in 2008. Our approach is to view predictions as an important resource for our clients and readers, thus we do not view them as a light, one-time exercise. Not only do we research and publish our annualized predictions, but every year in November, we look-back and score our predictions for the year. After completion of looking back and scoring the current year projections, we will then transition into the unveiling of our 2018 Predictions. As has been our custom, our scoring process is based on a four-point scale. Four will be the highest score, an indicator that we totally nailed the prediction. One is the lowest score, an indicator of, what-on-earth were we thinking? Ratings in the 2-3 range reflect that we probably had the right intent, but events turned out different. Admittedly, our self-rating is subjective, and readers are welcomed to add their own assessment of our individual predictions in feedback comments. Prior postings in this series included Part-One- a look back at our 2017 overall global economic outlook and our specific predictions related to sourcing and procurement. Part Two featured a revisit of our prediction related to a supply chain talent perfect storm as well as increased anti-trade geopolitical forces providing added sourcing challenges. Part Three contained a revisit of our predictions relative to continued global transportation industry turbulence along with a prediction calling for a renewed renaissance in business systems and technology investments. Part Four revisited our believe that Alibaba and Amazon would continue to position for global online platform dominance along with a prediction that business self-Interest would fuel continued efforts in supply chain sustainability initiatives. For this posting, we revisit our various industry-specific predictions. We cited unique challenges for automotive supply chains residing across North America for two specific reasons. One related to the ongoing industry dynamics for accommodating product demand mix with inventory and capacity levels. We anticipated that product demand across the U.S. would continue to favor pick-up trucks and SUV’s which would add to inventory challenges. In September, Moody’s had projected that U.S. auto sales would shrink by 3.6 percent in 2017 to end the year at a 16 million annual output level. That was before the effects of the severe flooding that impacted the Texas Gulf Coast regions where thousands of vehicles incurred severe flood damage which could add to output. 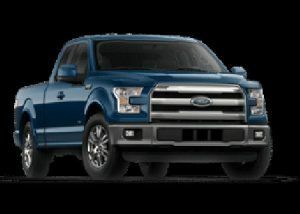 As predicted, consumers mostly favored truck and SUV models with the result being growing unsold inventories of various small and mid-sized sedan models. Dealer lot inventories of these models continue to exceed 60 days and auto manufacturers were forced to cut-back production levels mid-summer. While the truck categories allow much higher product margins for manufacturers, the cost of financing unsold inventories remains a challenge to boosting bottom-lines. 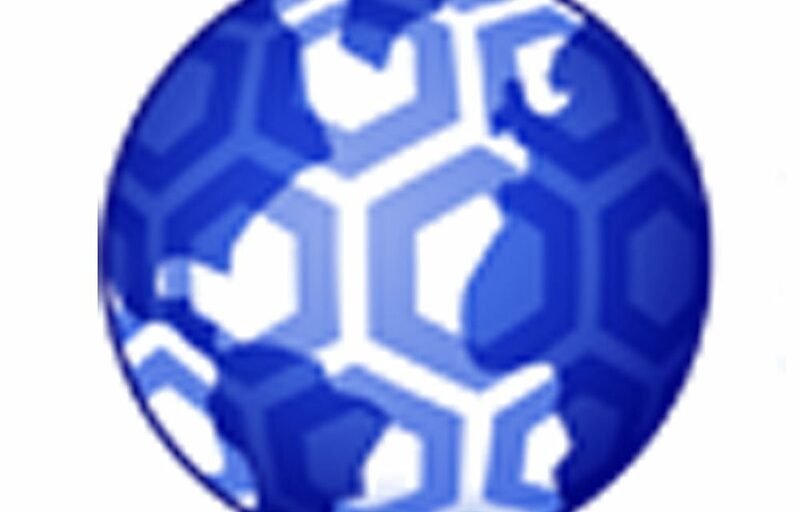 The other component of our prediction was the potential impact of the new Trump Administration policies related to both North America and global trade that had certain automakers in the cross-hairs of direct Presidential criticism, and of U.S. Congressional efforts directed at U.S. corporate tax reform policies. The U.S. Congress eventually dropped previous notions of a cross-border tax or a form of value-added tax as part of the newly proposed corporate tax overhaul. While the President eventually toned-down his direct criticisms of the industry for sourcing decisions, industry executives were more cautious in announcing major supply chain changes. At year-end, the largest threat remains the ongoing re-negotiation of the NAFTA trade agreement, specifically U.S. proposals for increasing U.S. sourcing content for automobiles could provide significant impacts for U.S. based brands if adopted. Likewise, likewise if NAFTA talks fail and the agreement is dissolved, supply chain flows among the three nations could revert to WTO tariffs. Once again, we elected to include commercial aircraft supply chains in our industry-specific predictions for 2017. We called for an especially challenging year in 2017 from several dimensions. Commercial aircraft sales trends were pointing toward an inflection point, as overall demand for the larger, wide aisle aircraft were trending toward contraction. That trending continued in 2017, as both Airbus and Boeing were challenged to book substantial orders for wide body aircraft. Demand for the newer, more fuel-efficient single-aisle aircraft, remained robust throughout the year and that has led to continued challenges in boosting monthly output levels. An industry with a track record of prior challenges in its ability to more rapidly scale-up overall aircraft production levels continued to deal with the industry dynamics of both Airbus and Boeing in their desire to deliver higher margins, profitability, and more timely shareholder returns. As Supply Chain Matters highlighted in various blogs this year, the weakest link in the supply chain has turned out to be the new Pratt & Whitney geared-turbo fan (GTF) engine family which experienced several unplanned component deficiencies that impacted the overall availability of engines for airline customer delivery. 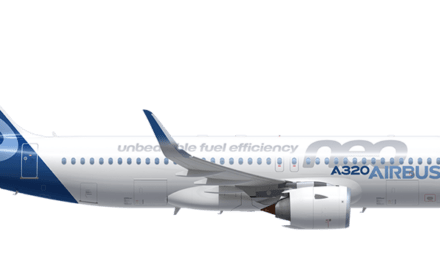 Both in Q2 and Q3, Airbus was forced to store double-digit newly manufactured A320’s on factory facilities awaiting delayed deliveries of new GTF engines. Airbus reportedly is facing the same challenge to meet expected Q4 delivery commitments for the A320 neo series. Boeing experienced some initial issues with the new CFM International LEAP engines installed on the new 737 MAX in Q2. 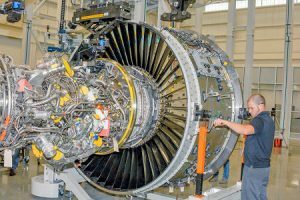 The stated original year-end goal for the two respective aircraft engine makers is to deliver 350-400 new Pratt GTF engines, and 500 CFM LEAP engines in 2017. As of this writing, there remains a question whether both milestones will be met. We pointed to industry suppliers who had been buffeted by OEM demands for larger cost and productivity savings, and whether that trend would lead to other implications. It turns out, those implications were significant M&A activity among major suppliers with the largest being United Technologies reported $23 billion acquisition of Rockwell Collins which was headlined as the largest acquisition deal in aerospace industry along with the eventual creation of an unparalleled industry supplier. In effect, efforts to continually squeeze suppliers has led to consolidation forces among the various supplier tiers of the product value chain. 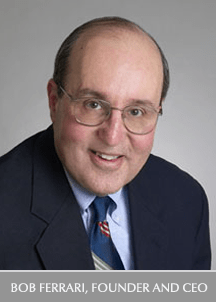 Likewise, a brewing conflict involved control of after-market services and repair parts which has traditionally provided added revenues and hefty margins for component suppliers. Both OEM’s, and especially Boeing, continued with efforts in 2017 to form new service business units to take broader control of the post-aircraft sale segment. That added another dimension of building tensions and boosting efforts toward consolidation. For all the above developments, commercial aircraft supply chains indeed had to manage through a variety of supply chain related challenges this year. In our next and final blog posting in this looking back series we will revisit the remainder of our 2017 industry-specific supply chain predictions.